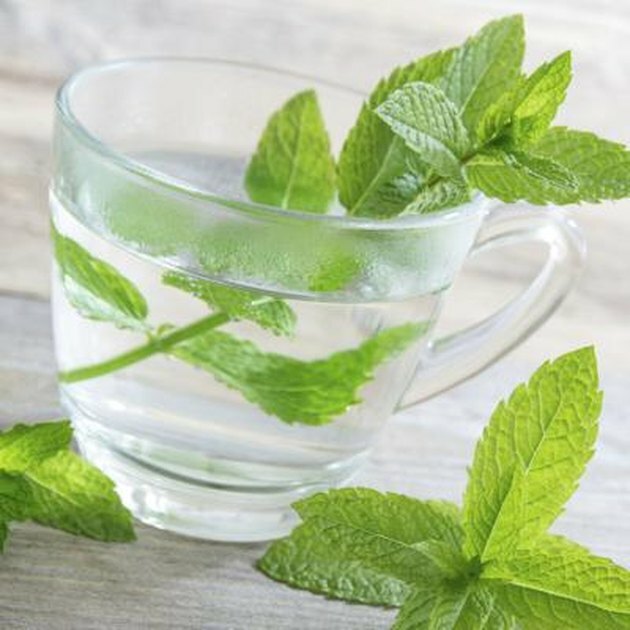 Peppermint is a member of the mint family, a large group of plants that have been used for thousands of years for their beneficial properties. Peppermint oil is widely used in commercial products like toothpaste and massage oils. Menthol, a major constituent of peppermint oil, is commonly used in decongestant ointments and inhalants. 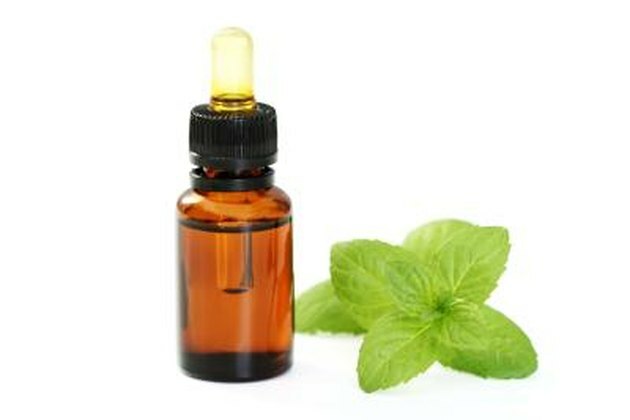 Peppermint oil is valued in skin care for its antibacterial properties. The peppermint plant, Mentha piperita, is a native plant in Europe and North America. Peppermint, which grows to about 3 feet tall, has dark green leaves. Mint plants have been used by the Egyptians, Greeks, and Romans for their medicinal properties. 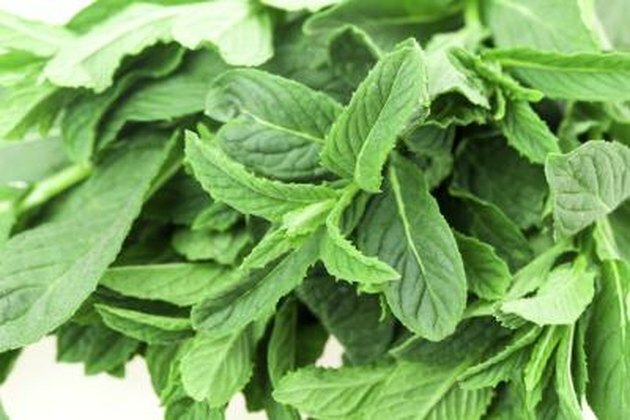 The leaves and stems of peppermint contain menthol, a volatile oil. Peppermint tea helps relieve an upset stomach and improves digestion, and it is said to help relieve tension headaches. According to the University of Maryland Medical Center, applying a small amount of peppermint oil to the temples and forehead can help reduce tension headaches. To use peppermint oil for headaches, first mix one part of the peppermint oil to 9 parts of ethanol or unflavored alcohol. Swab the mixture on the forehead and allow it to evaporate. Discontinue using the oil immediately if you develop any redness or pain. 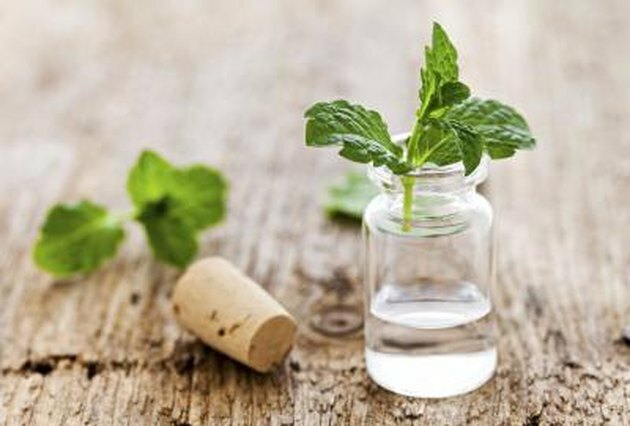 Peppermint oil has a slight numbing effect on the skin, which may be why it is helpful for reducing skin irritations, whether caused by poison ivy and other toxic plants or insect bites. Peppermint oil is generally not used directly on the skin, because like all essential oils, it is highly concentrated and thus should always be diluted before use. The University of Minnesota recommends diluting essential oils in a carrier oil so that they are not greater than a 3 to 5 percent concentration. Err on the side of caution when using essential oils. Peppermint oil can also be used in cream or ointment form up to four times a day. You can make peppermint massage oil by adding a few drops of peppermint essential oil to a carrier oil. Common oils used as a carrier, or base, for massage oils include sweet almond oil, jojoba oil and grape seed oil. You can also add some vitamin E oil to the mixture. The type of carrier oil you choose is a matter of personal preference. For massage oils, a 1 percent concentration is recommended, which would equal 1 drop of peppermint essential oil for every teaspoon of carrier oil. While it’s generally safe to use peppermint oil in small amounts, some people may have an allergic reaction or contact sensitivity to it. 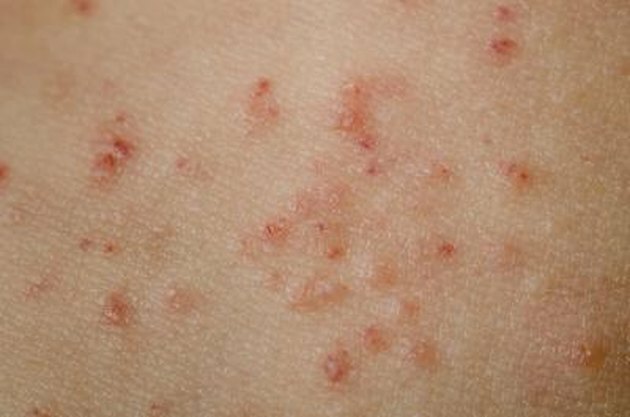 Skin reactions can include mild itching and redness from exposure to small dosages of the oil to extreme reactions. Necrosis, or skin damage, can occur with large dosages of menthol. You can conduct a patch test to find out if you are sensitive to peppermint oil by mixing the essential oil in a carrier oil at twice the concentration you intend to use it. Apply a small amount of this test oil to your forearm and cover it with a bandage for two days.